This is a simple study to help introduce my Kindergarten-aged child to different cultures around the world. I searched my local library for DVDs and books that were suitable for a younger child. Appreciating other cultures is an important goal in our homeschool.The plan is to go through this list chronologically, but some variation may need to happen depending on availability at the library. We will read the books together, look up some countries on the globe, talk about the different cultures, and watch DVDs. The goal is to encourage my child to see the world through borderless eyes.I linked to all the books in the study. The others on the list are DVDs. This study will help my daughter prepare for our World Poverty study that she will do in first grade. appreciate other cultures, children around the world, cultures around the world, plight of children around the world. Bookmark. How long should this study last? Do you do one item each day, each week, or what? I love this and hope to add it to our homeschool plan for summer learning. Bonnie, Congratulations!! After TWELVE years of homeschooling, we filalny bought an expresso machine this year . . .It does take time to adjust, but there are advantages that often emerge in time. My kids are their own people–they like their own music, their own books, their own shows, etc. They dress how they like and are not addicted to labels because you can homeschool in your pajamas if you want. They think their own thoughts and are not afraid to say what they think.One thing that helped me at first was to get away all by myself for a few hours on the weekend and do whatever I wanted. Usually, that meant a book and a cup of coffee! This is a really great list. I was thinking of doing this with my kids (I have two preschoolers and two Kindergartners). Now you’ve given me a jumpstart on which videos to use. Unfortunately our library doesn’t have the My Life on the Farm series though. 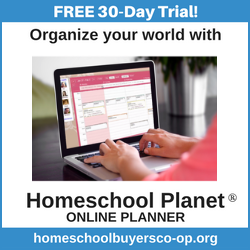 Also, I just wanted to say that I love your site… I’m just getting started homeschooling, and a lot of what you do is aligned with what I want to do with my kids. So it’s great inspiration.